Jet Time is a Danish airline company, founded in 2006. They operate as a B2B flight carrier for airlines, travel agencies, corporate businesses and has grown into the largest B2B flight carrier in Denmark. Jet Time home base is in Copenhagen Airport for approx. 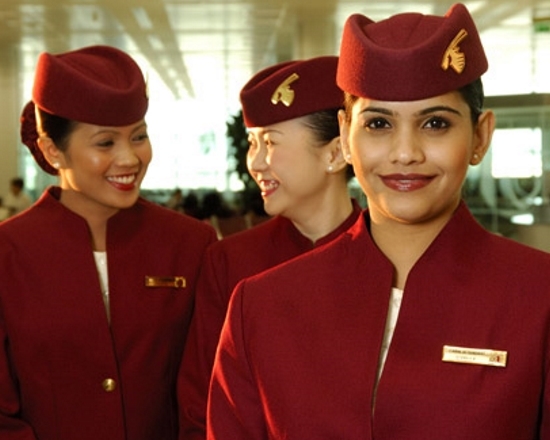 700 pilots and cabin attendants, in addition to technical and administrative staff. Since the beginning in 2006, Jet Time has chosen Olino as their uniform solution provider. With the aim of creating a reliable delivery service Jet Time shares with us their recruitment forecasts and expected uniform requirements. Based on this we manage the supply chain to secure delivery on time. We also keep track of sizes, alterations, entitlements and consumption per crew member and feed statistics back to Jet Time as needed. Jet Time have the benefit of our complete service concept. 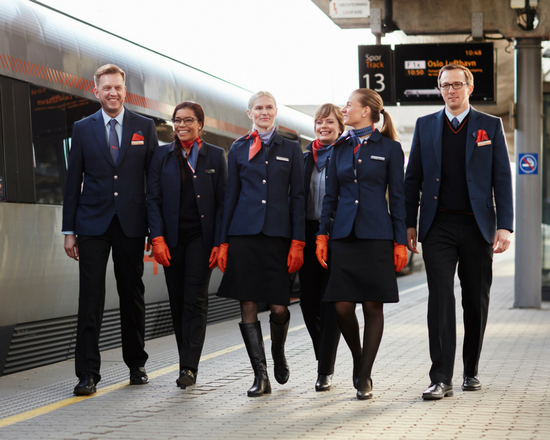 As part of their training, new Jet Time crew members undergo uniform fitting at our Uniform Service Center located next to Copenhagen Airport. We prepare the uniform package, including any required alterations, and make sure the uniform is delivered on time. At our Uniform Service Center, the Jet Time crew members can pick up their new uniform garments, buy extra accessories and drop off their garments for cleaning. Jet Time's uniform collection consists of a few highly visible Jet Time items - such as aprons, scarves and ties - combined with jackets, shirts and trousers from our Olino Standard stock range. The overall impression is a unique Jet Time uniform, even though most of the uniform items are drawn from our standard uniform collection.